ABODO: Reach the Next Generation of Renters. A unique demographic. A unique approach. Marketing to an elusive Millennial generation can be challenging. To them, an ILS is outdated, Craigslist is time-consuming, and print ads are old-fashioned. ABODO's sleek mobile-first platform is designed to appeal to young professionals and college students. Reaching Millennial Renters Requires More Than Generic Google Search. 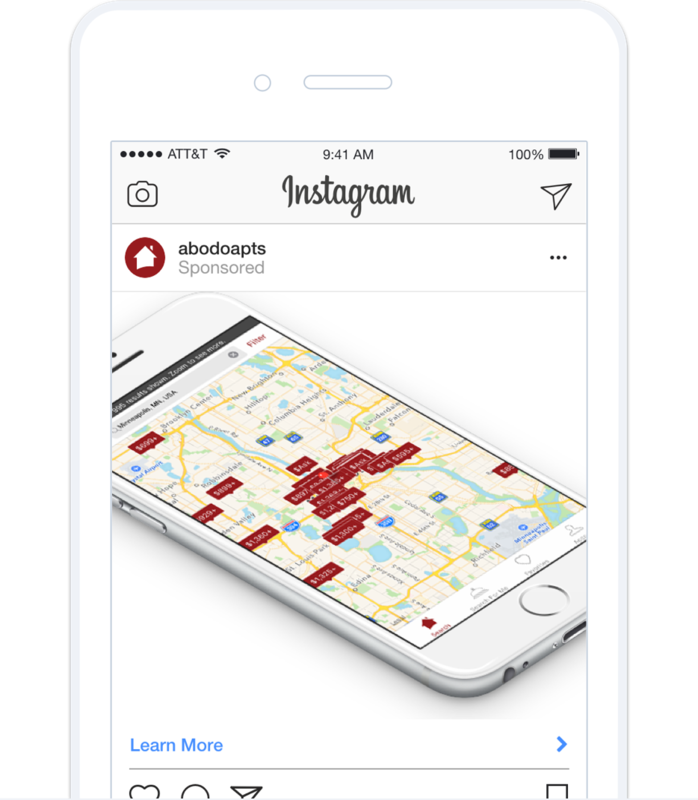 ABODO leads the industry in using Facebook, Instagram, Twitter, and Snapchat and emerging platforms to reach localized Millennial renters. We localized our ads' written copy, imagery, call to action, and dynamic search targeting. 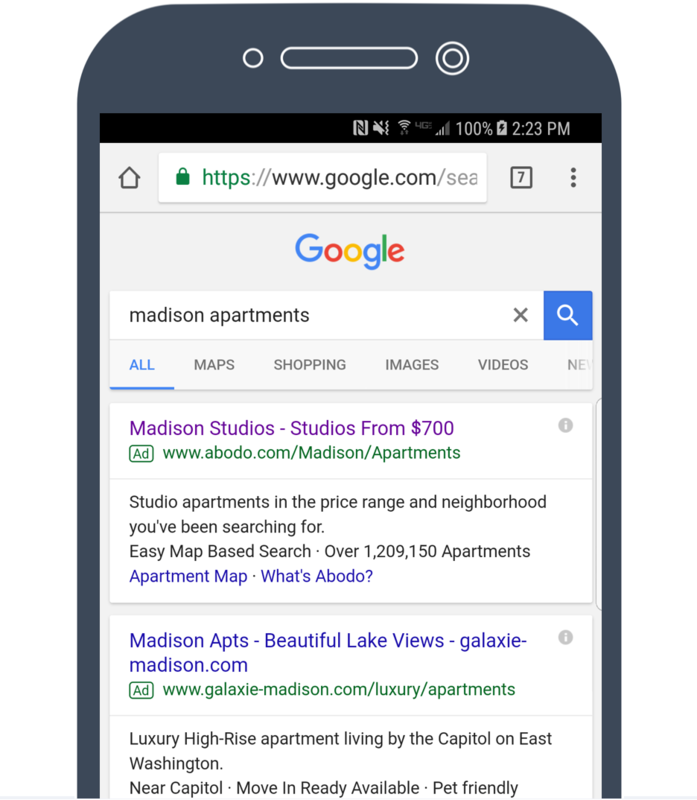 Keyword advertising on both the Google Play Store and Apples App Store drive highly motivated renters to our mobile platforms, where they tend to be our most productive users. ABODO has a comprehensive email marketing program for engaging and re-engaging renters in all of our markets. We use email to welcome users, keep them up-to-date with new features, and suggest properties similar to ones they've viewed. 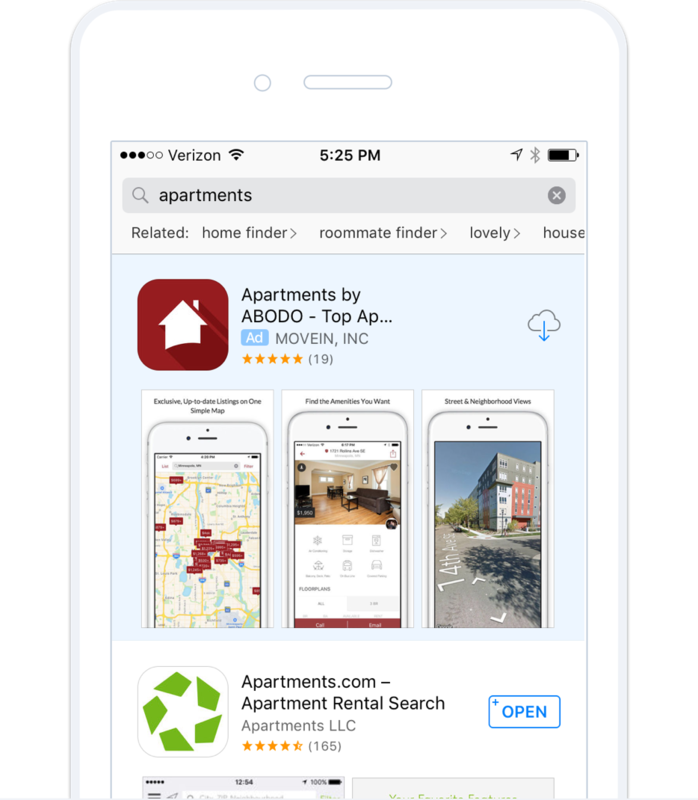 ABODO targets ads to renters on Google, Bing, and Yahoo! using thousands of local market and generic keyword combinations. Our focus is on adding undiscovered prospects, not competing for your current ones. We use no customer brand or community names in our SEM campaigns. 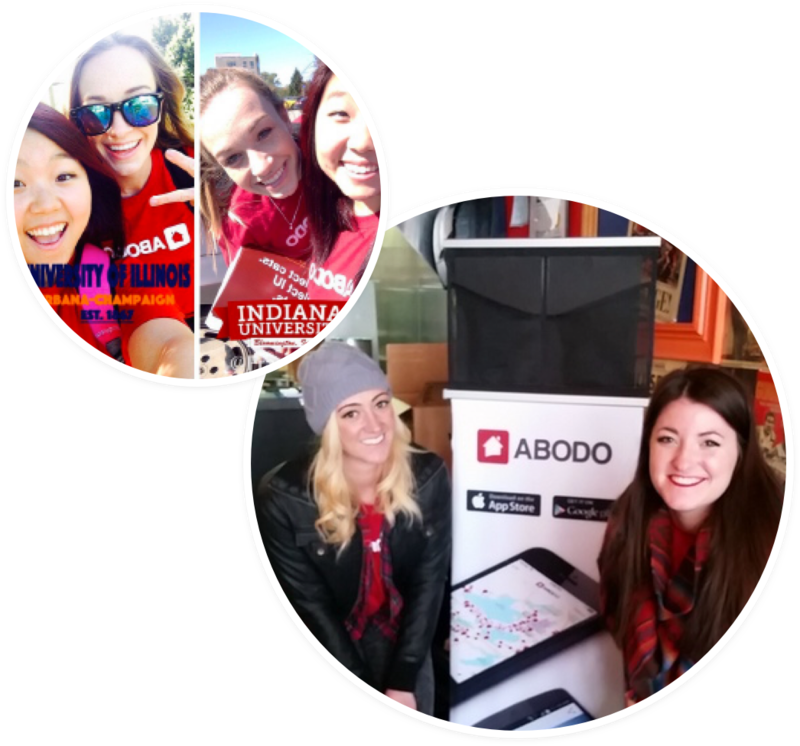 ABODO’s street teams help us engage with our renters and become part of their campus family. Establishing a physical presence on campus allows ABODO to generate strong brand recognition and helps ensure renters check ABODO first when it’s time for a new place to live. We are where your renters are, digitally and physically. 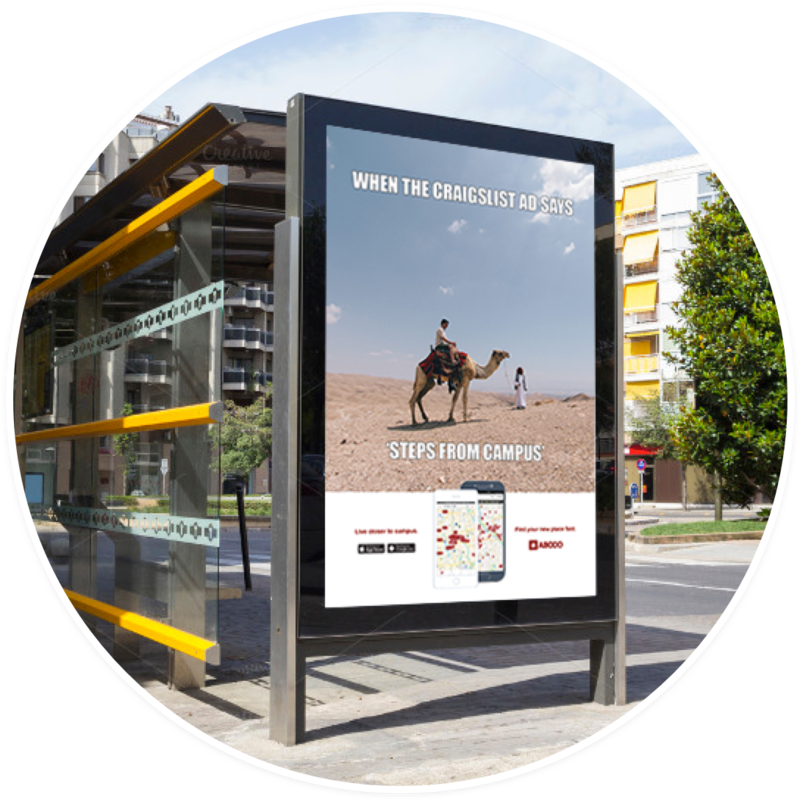 We time our campus flyer and bus ad campaigns right before the big search season starts to keep our brand--and our listings, at the top of renter’s lists. 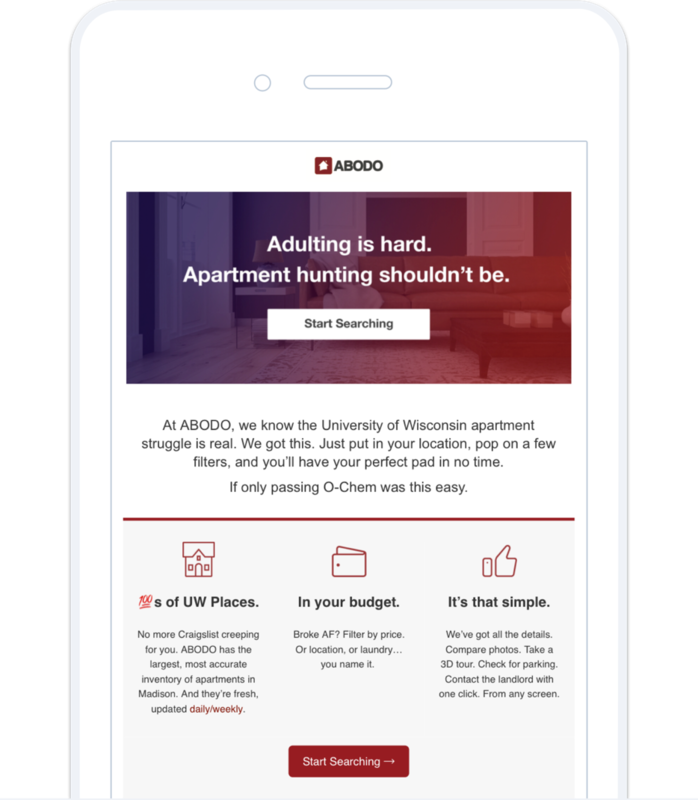 "40% of UW-Madison students used ABODO in the site's first year on campus."